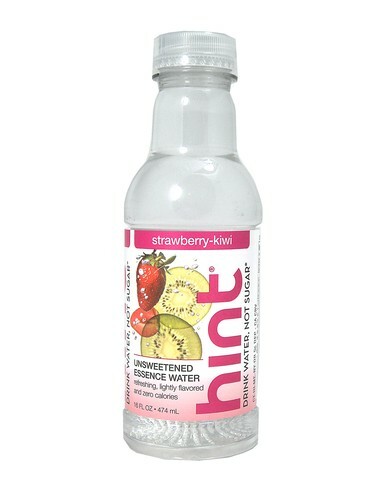 FRESH 4 Pk 16oz plastic bottles of Hint Strawberry Kiwi water!!! Zero sweeteners, zero calories and zero preservatives. The idea behind Hint is simple; nature's original refreshment accented with natural flavor. With no sugar or sweeteners, Hint is a refreshing alternative to soda, juice and other sweetened drinks and it tastes great.